Spain’s takeover of the country following the declaration of independence has not only affected the activity of Catalan institutions, but also the daily life of ordinary citizens. Many projects fostered by the Catalan government before it was deposed by the Spanish government are now at the stake. Some have been suspended, others delayed, and the future of many is still unclear. Yet, four months after the suspension of self-government, what is clear is that the enforcement of Article 155 is affecting Catalan culture, scientific research, historical memory policies, education, and healthcare, among others. The Catalan government had been paying compensation to those who had been imprisoned during the Spanish civil war and Franco's regime. Former prisoners were paid for all the years they spent behind bars for political reasons. Now, all payments have been suspended. In addition, this also goes against the historic memory laws, and all the activities boosted by the Catalan administration, aiming at promoting peace, human rights and recovering the historical and democratic memory of past policies. The exhumation of Civil War mass graves has also been affected by Spain’s direct rule over Catalonia following the declaration of independence in October. 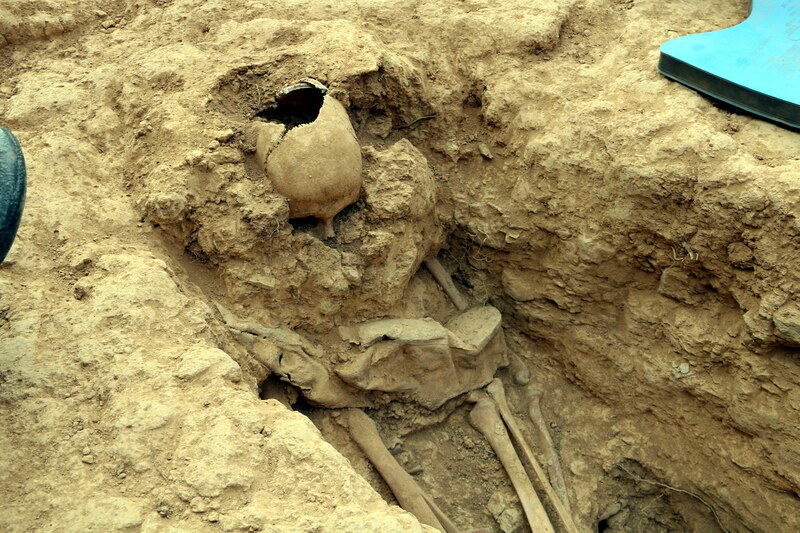 The Catalan government invested in the exhumation of mass graves in order to find those disappeared during the Spanish Civil War and the Franco regime. Now, historical memory policies are on hold due to Spain’s takeover. The government planned to give 16 million euros to Catalan hospitals to provide them with the required resources during the winter period. However, the Catalan administration was not allowed to pay this money due to the enforcement of Article 155. In addition, the Spanish government has also frozen an investment of 13 million euros destined for primary healthcare centres. It was aimed at improving the equipment of the centres. Despite health care being guaranteed for all, the Catalan health system has not received 25 million euros due to Article 155, and some projects are on hold, such as a drug treatment program in Barcelona and the construction of a health centre in Breda, in northern Catalonia. But not only healthcare has been affected. Education is also feeling the effects of Article 155 as well. The Barcelona Education Consortium was meant to receive 71 million euros from the Catalan administration, for example, but the money never came. The suspension of self-rule is affecting public schools, from kindergarten to high schools. Associations working with children and young people are also suffering delays in payments. One action by the Spanish government affecting the school system has caused controversy amongst members of the educational community. Rajoy’s executive has extended the education agreement with a total of 1,956 educational centres, including those that segregate girls and boys. This move came after the three pro-independence parties had agreed to remove it next year. The use of Catalan in schools is also under threat. 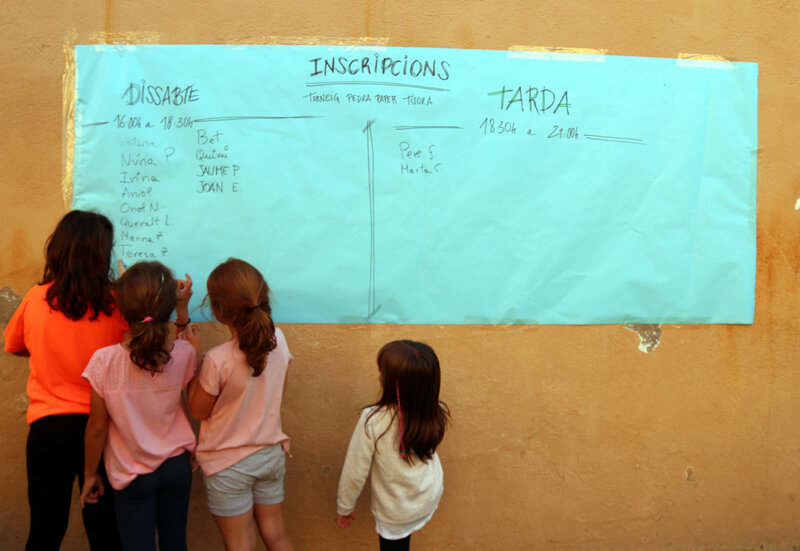 Until now, schools in the country have always been bilingual, with students learning both Catalan and Spanish. But Rajoy's government has plans to change that. More than 300 organizations working in the field of social policies did not receive public funding or received it too late. The Catalan administration committed to pay them more than 4 million euros. Yet the Spanish government delayed the payments to the organizations, which work together with the Catalan department in charge of social policies. In addition, the Spanish government has also frozen some programmes aiming at improving social inclusion and integrating migrants. More than 500 new Catalan police officers were planned to be hired last year. In the summer of 2017, the Catalan government decided to incorporate new officers into the body, aiming at enlarging the Catalan police force. According to the Catalan minister in charge of the Catalan police, the increase in staff was considered to be “urgent” and thus “could not be postponed”. After Madrid’s suspension of Catalonia’s self-rule, the Spanish government refused to hire more than 500 new officers. They argued that the Catalan police body could only hire the same number of people that had left the force. The Catalan administration therefore reduced the number of new officers to 50. More than 10,000 people had applied for the job. Yet the Catalan administration insisted and requested once again to hire 455 new officers. Finally, the Spanish government accepted it, and the expansion of the Catalan police body will take place, but with a huge delay. Ammunition of the Catalan police, the payment of the services used as a consequence of the August attacks and the uniforms of the Catalan police forces have also been affected by Article 155. As a consequence, police officers are worried that they cannot practice shooting. Catalan firefighters have also found themselves in a similar situation. The Catalan administration planned to offer 150 new posts. The Spanish government did not suspend the proposal, but delayed the process for them to be hired. 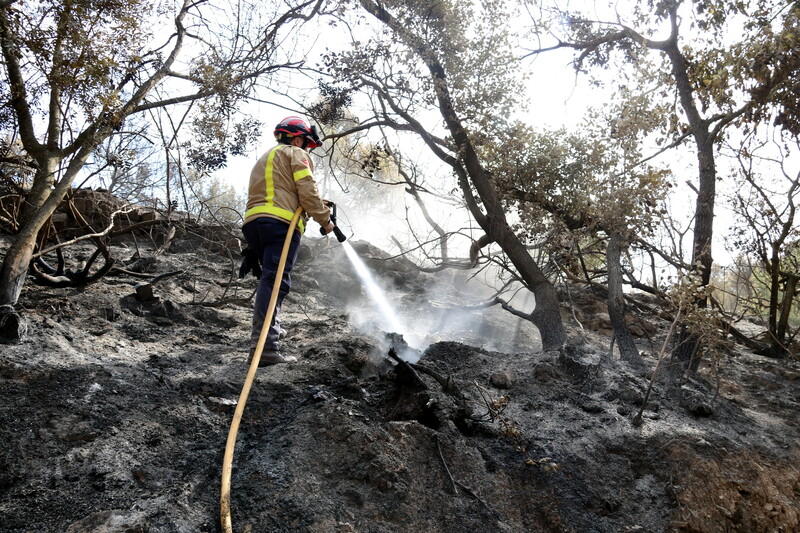 In addition, Catalan firefighters are worried they cannot have new 80 vehicles this summer, as planned. The enforcement of Article 155 has also affected Catalan culture, and subsequently citizens' access to culture. A cultural centre in Barcelona had to suspend an exhibition due to Madrid’s takeover of Catalan finances. The same centre also had to put a cycle of conferences on hold. Other artists also had to postpone the exhibition of their works, and other cultural events ended up cancelled. Last year, the National Poetry Festival could not be held, and this year’s Lluèrnia festival, devoted to fire and lights, has already been called off. Some investments in the cultural field could not be carried out. The government planned to buy some works of art and restore others. Yet they cannot be bought or restored for now due to the takeover of the country's finances. What’s more, the Spanish government has also blocked the payments to associations of Catalans abroad, making it difficult for them to continue working. 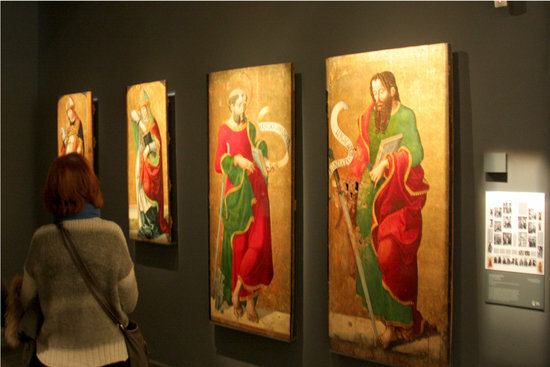 However, the most controversial measure in the cultural file has been the removal of 44 disputed artworks from the Lleida Museum, after a ruling of a judge in Aragon. This move came only a few days after the Spanish Culture minister, Íñigo Méndez de Vigo, ordered the pieces to be moved from Catalonia to Aragon. It was the latest chapter of a long legal dispute over the works between both administrations. Yet Catalonia was in a more difficult position due to Madrid’s direct rule. Scientific research projects have been put on hold due to the suspension of Catalan self-government. The Lleida Biomedical Research Institute had to stall its research, aiming at fighting different kinds of cancers. The recruitment of staff in the research field has also been affected by Article 155, as the Spanish government refused the request to hire new junior researchers in some universities and research centres. Bureaucracy has increased in the Catalan Ministry of Economy, as well as all departments of the Catalan administration, since all expenditures need to be justified. But it is not only a matter of bureaucracy, but also a matter of time. Some of the projects promoted by the Catalan administration are considered not to be a “priority” for the Spanish government, such as a 20 million euros contribution to technological centres or aid to entrepreneurs. Madrid’s direct rule also touched Catalan infrastructures. Both the Catalan and the Spanish administrations had agreed to prevent trucks from driving on the N-340 road from January on. After the enforcement of Article 155, the Spanish government was the administration in charge of it, and did not comply with the agreement. At the beginning of February, an accident on this road left three deaths. The mayors of the nearby towns accused the Spanish government of not having complied with the agreement, and noted that the accident occurred due to the Spanish government’s breach of agreement. How has Madrid's suspension of Catalan self-rule affected the country?